Haven't seen it on original hardware yet, but I luv what I've seen on PeeZee emu anyway! :) Cute little intro, even though it's only 30kb instead of allowed 96kb! It seems to work fine under the Steem engine. Maybe it crashes in the middle of the demo in the emulator, maybe I've seen most of it, but what I've seen is still interesting enough. Thanks for all the positive comments, but this version does have a huge bug so that the sound is distorted during the greetings screen. I'll fix that and try to post an update then. Who cares about bugs! Go Paranoid! I personally like the music very much! 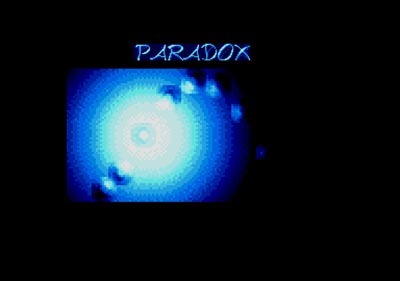 Paradox == ULTRA QUALITY STUFF!!!! nice collection of top quality fx! It lacks being completed so I'm dreaming of a full 96K version ? Nice one. No Zweckie here this time. page created in 0.015311 seconds with 15 queries.